We have made it half way through this pregnancy and it still has been one of the greatest joys of my life. You have grown so much according to a few baby apps that use fruits and vegetables to measure your size. At 18 weeks, you were around the size of a bell pepper and now you are possibly a little bigger than an artichoke. Don’t worry, Mama will educate you on all the fruits and vegetables there are! My baby boy you are very active in my womb. Your father and I think that we have discovered a name for you. We think we will call you Alan Eli Hurd. We are still not certain yet. I feel you daily moving around and doing who knows what inside of me. Your father really wants to feel you moving and kicking on the outside of my belly too. He always is so eager to touch my belly and he kisses my belly with so much love! I cannot wait to see how you both will interact with each other. For I already know that you will bring so much love, motivation, and spiritual elevation into our lives. Your father and I have been getting along lately and we plan on remaining solid. We have already started buying baby clothes, books, and blankets for you too. I have been imagining life with you here as an infant. I sometimes cry just thinking about how blessed I already am to be carrying you! Even though me or your father do not have a lot of money or working our dream careers, we will do our very best to provide for you. I grew up without a father figure in my life and I am blessed to say that YOU will have your father. I never knew what it felt like to call any man in my life daddy. I never felt the love, comfort, and understanding that comes from having an amazing father figure in my life. I grew up very poor. So, poor that I was teased and bullied every day that I went to school or even to walk to the local gas station in my small town for a snack. My mother couldn’t read so she couldn’t teach me the words that were on the colorful water colored pages. However, she always showed me the pictures and explained to me what she seen. I want you to know that we have four and a half months until we meet. I will do whatever and will never question my passion for a second to hustle for you. I will hustle for you and the future. Both your father and I deserve a life that will bring us much joy and happiness. There is so much to come. I cannot wait to talk to you in the next letter. Until then, mama loves you! 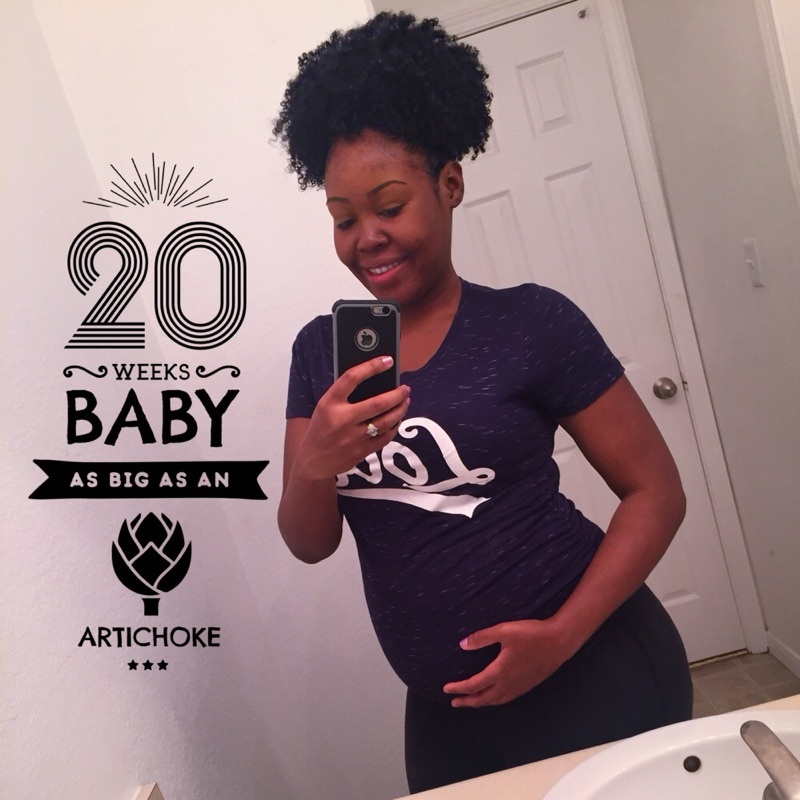 Click here to read weeks 15-17 of my pregnancy.